48 high-quality vector office people cliparts for free! 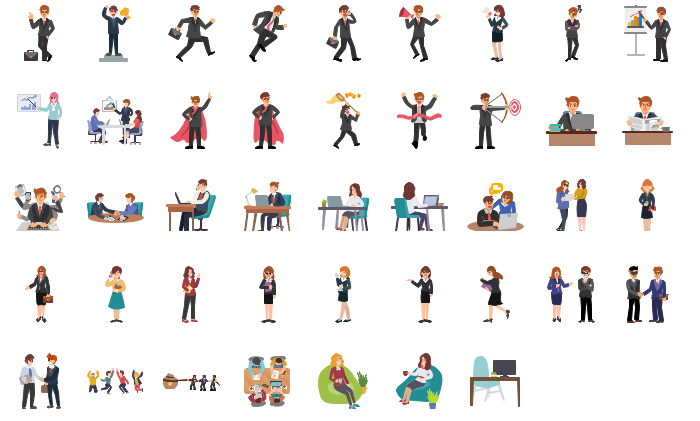 Free download these office people cliparts and use them on different business occasions. Are you looking for office people vector cliparts or photos? We have 48 free resources for you. Use these free images for your websites, art projects, reports, and Powerpoint presentations! View thousands of free person working in office that you can download without any purchase required. 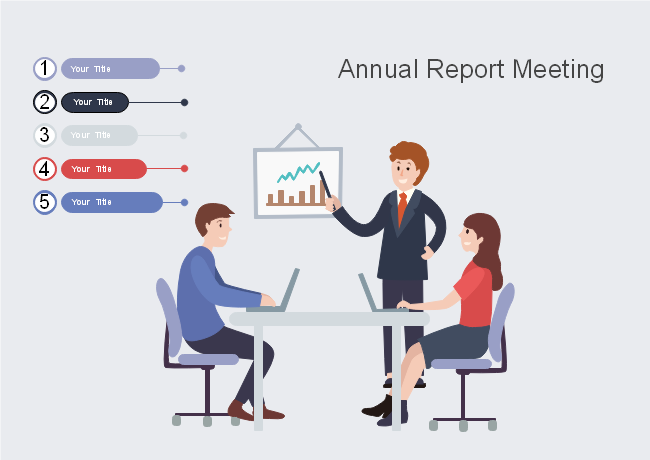 Edraw clipart software provides users with various vector animal head cliparts , including presentation, conference, meeting, group discussion and signing contracts. Click on the picture to download these office people cliparts for free. 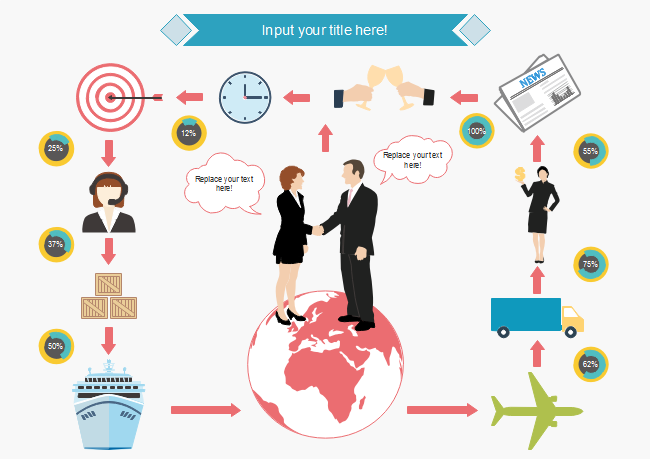 Try our powerful diagramming tool and find the perfect image. 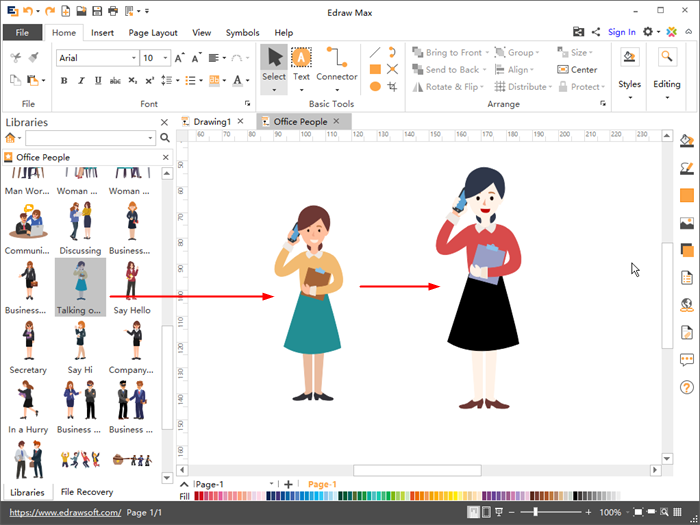 Featuring exquisite clipart libraries, diagramming beginners can get inspirations in color-matching and layout from the built-in office people clipart without drawing skills required. As you can see, office people cliparts are usually used for business occasions, so the default colors are gray, bule, red and black. You can change the color, size, shape and posititon of these vector cliparts freely. If you are imaginative in drawing, the handy pen tool and pencil tool would be your helpful assistants in creating personalized cliparts. You can name a new library and save the customized symbol for future use. Create awesome business infographic with our data visualization tool. You will get a large number of editable business elements. With the elements and the easy-to-use tools, you can make a business infographic within an hour. Here is a business report meeting graphic available for adding vigor to a teaching building. All elements, lines and diagrams are editable. Download and edit the graphic with Edraw clipart maker if you find it interesting and useful.